These fundamental rules of social psychology will help you understand how you can improve your blog content and drive traffic growth. Is your blog successfully generating more leads and customers for your business? After speaking to hundreds of B2B blogging experts, I kept hearing about three blogging strategies that almost never work. Still, 10 years after the rise in popularity of business blogging, they are probably the three most popular strategies. Go figure. It’s because creating a successful blog is actually really challenging. Writing an excellent blog post requires hours of effort, and if you want to generate organic traffic (you do), you need to sustain that effort for months or even years. These three have remained popular because they allow writers to skip the research and editing that go into a longer blog post. After months of posts that do not generate business value, these businesses will eventually give up on blogging altogether. But here’s some good news: there are 2 psychological factors that explain why these kinds of blog posts will never work. And these 2 laws will also help you come up with blog topics that will generate leads. These rules come from the famous book, “Influence“, by Robert Cialdini, the godfather of the field of social psychology. Keep in mind, these principles apply mostly to bloggers that are trying to generate organic traffic or introduce their brand to a new audience. If you are just writing a blog for your customers, for example, you have a little more flexibility. Here are two ways to predict whether you will be able to generate leads from your blog. Let’s take a step back and remember the environment that shaped the human brain. Humans evolved in hunter-gatherer tribes with a maximum of 150 members. If a particular tribe member was being parasitic or selfish, he or she could be kicked out of the tribe and forced to face a dangerous world alone. So, through natural selection, humans developed the ability to recognize social cues so that they could maintain their popularity in the tribe. One ritual that became advantageous was reciprocity. When another tribe member paid you a favor, you were expected to pay them back with a similar favor at a later point. Otherwise, you would be consuming another tribe member’s time and energy. You might think that this scenario is no longer applicable since we clearly no longer live in small nomadic tribes. But evidence has shown that these evolutionary cues still motivate our unconscious decisions (you will have to read the book to see.) Since the human brain has been evolving over the course of millions of years, the past 10,000 years cannot make much of a difference in our ability to read social cues. Since our brain was not built to understand the internet or societies composed of 300,000,000 people, we can still trigger these evolutionary instincts via blog content. The key is that your content actually needs to be helpful. This is good news if you are a blog writer. It means that if you can write a helpful blog post, you can actually build trust in the minds of prospects that have never heard of you or your brand. But, simply exposing new readers to your blog is not going to be enough. They have to actually learn a useful strategy or tactic. 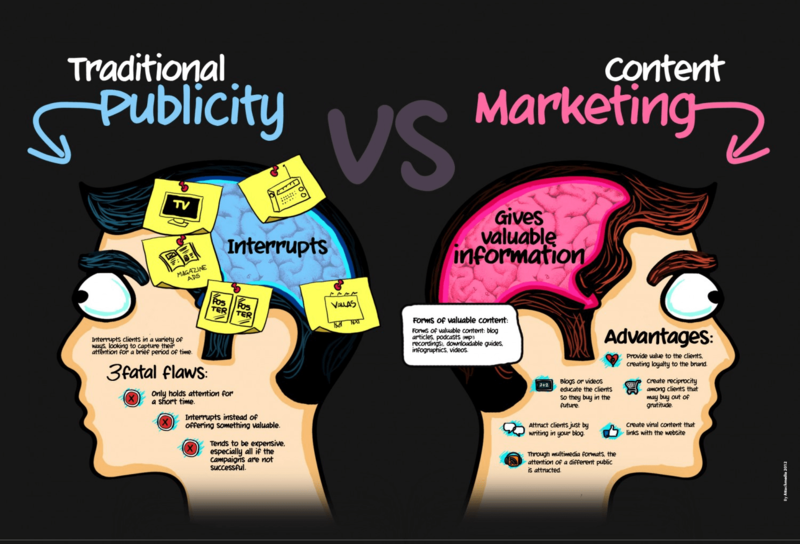 Think back to the three types of content that never work. Pure promotion of your product’s features certainly is not helpful to a fresh audience. Covering company news is also likely unhelpful. And short, high-level content will not help your audience unless they are complete beginners in the field. But, if you can actually help your audience upgrade their skills and become better at their jobs, then you can form a powerful connection. Keep in mind, they won’t be able to describe this feeling by saying things like, “I would love to reciprocate that favor”. It’s subconscious. Instead, they will simply say, “I love your content”. And later, they could take an action like signing up for your email list or trying your product. One company that does an excellent job of invoking reciprocity is Close.io. 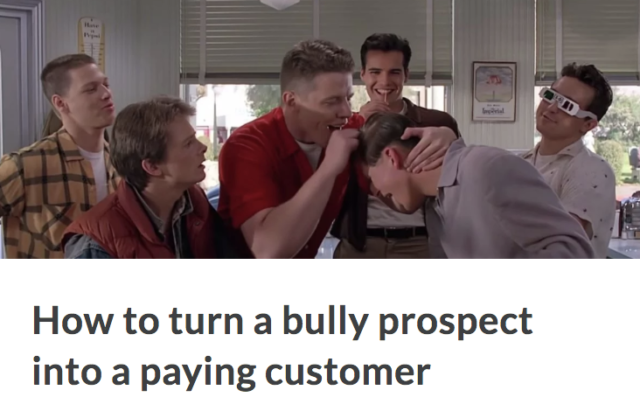 They build a CRM product that helps startups and other small (but growing) businesses. 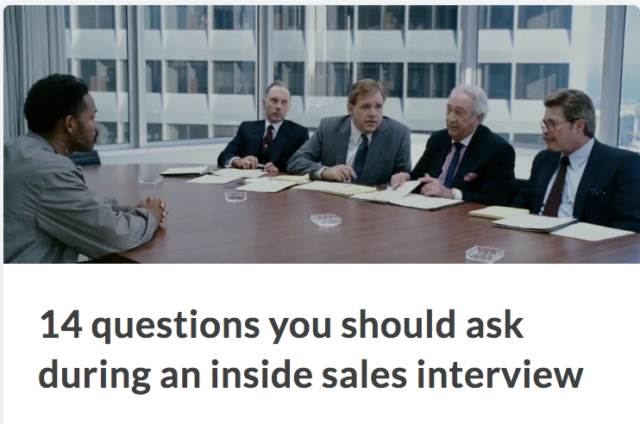 But, if you check out their blog, you will find tons of detailed advice for first-time sales leaders. Let’s take a step back for a moment. Since they are a CRM for small businesses, they need to have a pitch for companies that are stuck with managing their pipeline in email + spreadsheets. Close.io also needs to distinguish itself from Salesforce, who has the most powerful overall brand in the CRM space but does not focus on SMBs. They could have chosen to write article after article about why startups need to be using a CRM. They could explain over and over again why Salesforce will not work well, and email will quickly become overwhelming. This is the “feature-focused” approach. The problem with that approach is that it will help very few people. If a person reads an article about the advantages of a specific type of CRM, (s)he will not become a better salesperson or sales leader. Instead, they will only be able to make a better decision around choosing a CRM. Which of these two things happens more often? Number one happens much more often, by at least 10x. Close.io immediately proves that they are invested in the success of new sales leaders. Their content is long, detailed, and immediately applicable. That means that by the time visitors leave their blog, they will likely feel that they have been helped. Even if they are not ready to look into a new CRM at that moment, they will remember Close.io first when the need arises. Let’s imagine that you are in charge of the blog for a service-oriented company, like a marketing agency. Your revenue comes from mid-size to large companies that will pay you tens of thousands of dollars over the course of a year for marketing services. Most of the prospects that visit your blog are “cold”–they have never heard of you before. This is where marketers will try to create a story around their superior features. In the case of a marketing agency, you could post about your superior marketing methodology, which guarantees success within the first 6 months. But this creates one massive assumption. It assumes that people actually care about your marketing methodology when they are just learning about your work. The Databox blog used to have the same issue. We talked about the different benefits you would experience if you used a dashboard. 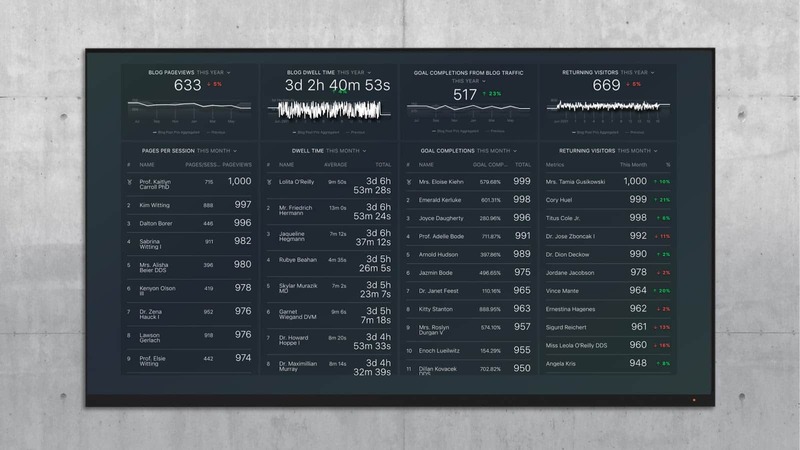 But this approach makes the assumption that a company can win on dashboard features alone. In reality, most companies aren’t sure that they even need a dashboard yet, so features will not convince them. If you couldn’t follow the authority of your parents, you might repeat deadly mistakes of past generations. And if you couldn’t follow a leader, you might find yourself exiled and forced to find another tribe. Those authority figures could easily prove their qualification for their role. But, if you are trying to gather leads from your blog, you face a different type of challenge. You need to prove your authority simply through words and video. 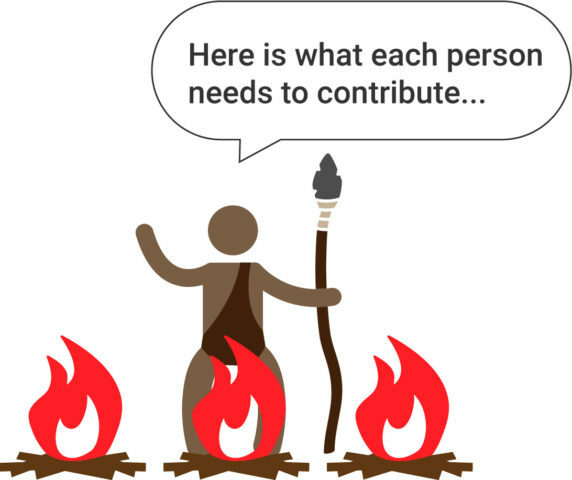 You can’t force your audience to pay attention like a tribal leader might be able to. One company that does an excellent job of building authority is Drift, a conversational marketing tool that allows you to interact with visitors currently on your website. 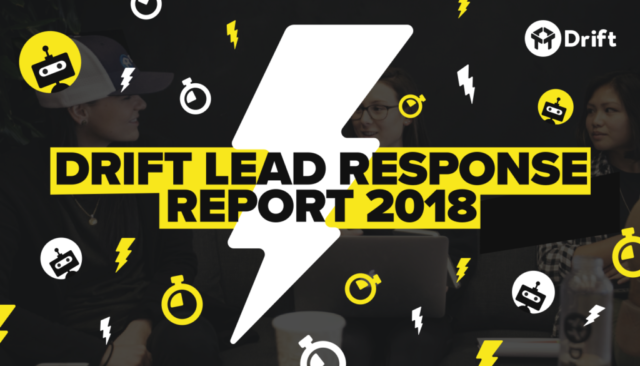 They created a “Lead Response Report” to measure the responsiveness of 512 B2B brands. There are thousands of live chat tools on the market today. Why should you trust Drift above all the others? You might be tempted to jump into a discussion about features, like chatbots and integrations with CRM systems. But other companies have those features, too. Instead, Drift chose to position itself as an expert in gathering more leads from your website. They tried to get in touch with 512 companies via their website. Do you know how much time that takes? Only a company that has a deep dedication to lead generation would put in that much time. You will never find a marketer whose job depends on their ability to adopt the “best” live chat tool on the market for their company. But, almost every content marketer will be judged on their ability to generate leads off their website. So that is where Drift chose to build authority. The lesson here is that you need to build authority in an active conversation that prospects are already having. In the case of Drift, it’s “How can I get more leads from my website?” If the majority of prospects were concerned about which live chat tool had the best chatbots, then you would instead want to show expertise in that area. 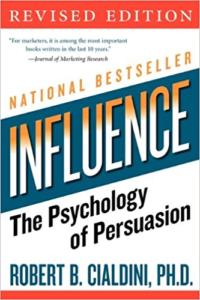 Social proof is another one of Cialdini’s 6 key factors of influence. Many websites use customer testimonials and reviews to demonstrate social proof. Although this is certainly valuable, I am not going to cover social proof here because I don’t see too many people taking shortcuts and expecting great results on this one. With authority and reciprocity, there are plenty of misconceptions about the types of blog content that will generate leads. Social proof is a little easier to collect and present. If you would like to learn more about using social proof on your blog, check out our guide to company blogging. Your ultimate goal should be “leads generated” or “customers acquired from blog leads”. But, top of funnel posts can still be valuable assets without converting a high percentage of leads. Email subscriptions: Okay, this one is actually a conversion metric. But, it is still a good indicator that visitors want to see more of your content. They may not be ready to sign up for the product, but want to keep on reading your work. Average time on page- This is the amount of time that visitors spend on your site before exiting. Since most visitors will not continue beyond one page, this one proves whether they are reading the post or not. Bounce rate- This is the percentage of visitors that leave your site after one page. If you have written something helpful or authoritative, visitors should be clicking into other pages after the first page. If you want to track all of these metrics in one place to see which blogs have the most psychological power, you might enjoy our Blog Quality Metrics dashboard.